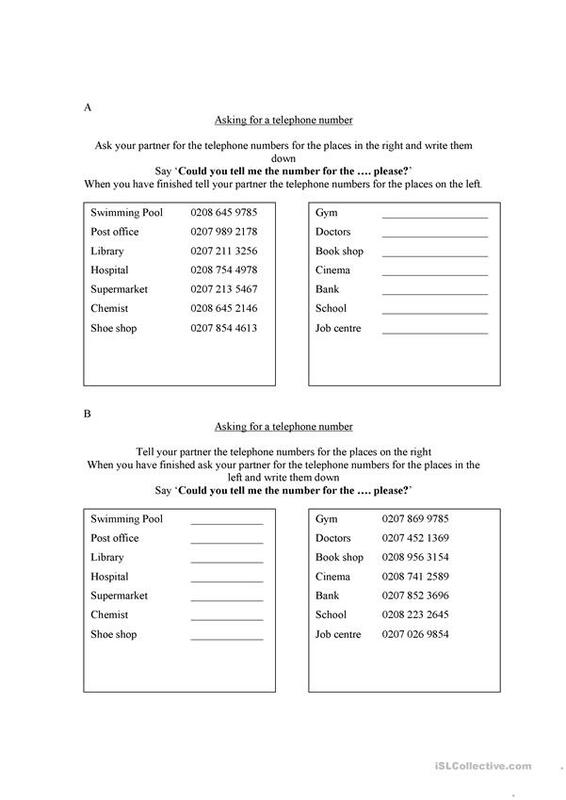 This is a pair work exercise designed to help learners practice saying, hearing and writing down numbers. One learner asks the other for the telephone numbers of the various places and writes them down, then they swop. This downloadable handout is recommended for high school students and adults at Beginner (pre-A1), Elementary (A1) and Pre-intermediate (A2) level. It is excellent for working on your pupils' Listening, Speaking, Reading and Writing skills. It focuses on the vocabulary topic of Numbers.